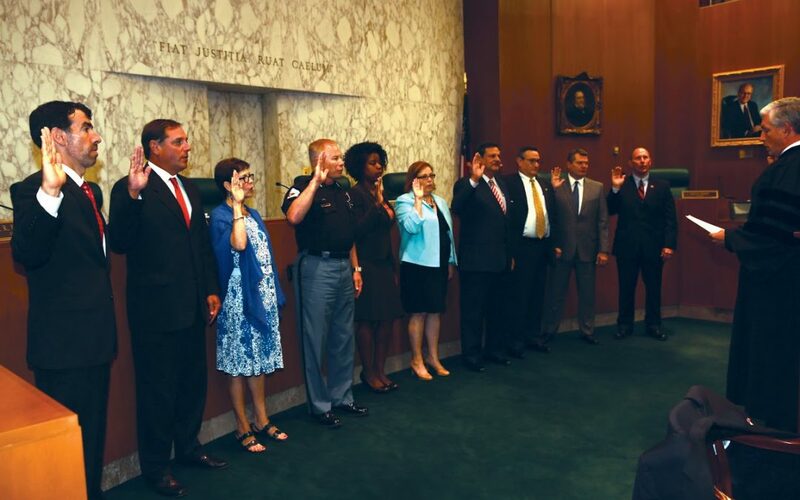 Christina L. Folsom, known as “Tina,” was honored on March 9, 2019 at the Chief Justice’s Commission on Professionalism 20th Annual Awards ceremony in Atlanta, Georgia with the Justice Robert Benham Award for Community Service. 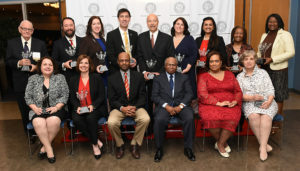 Since 1998 these awards have been presented to honor lawyers and judges in Georgia who have made a significant contribution to their communities and demonstrate the positive contributions of members of the Bar beyond their legal or official work. Tina is very involved in her community. Currently, Tina is a member of the Board of Directors for the Turner Center for the Arts, serving as its secretary and co-chair for the Presenter Series, as well as Secretary for the Tennis Valdosta Board. 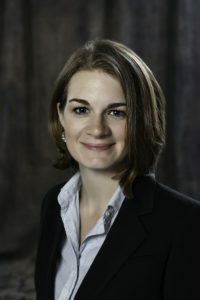 Tina also helped form a local chapter of the Georgia Association of Women Lawyers and is a member of the Board of Directors for the Georgia Association of Women Lawyers (GAWL). She is described as having a heart for others which motivates her to seek ways in which she can serve those less fortunate. Tina has served as a dedicated volunteer for many organizations in Valdosta including as Past President of the Board of Directors for Lowndes Associated Ministry for People, Inc. (LAMP) – Valdosta’s homeless organization. 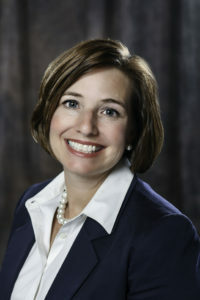 In 2017, Tina participated in the Leadership Georgia Class. 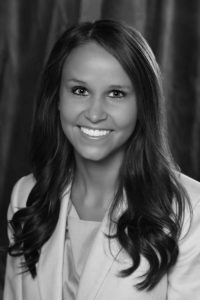 She is a graduate of the 2014 Leadership Academy of GAWL, an Associate member of the Valdosta Junior Service League, and was in the 2008 class of Leadership Lowndes. Tina has served in several leadership capacities on various boards in the community over the years. She is an active member of Park Avenue United Methodist Church, where she seldom misses an opportunity to volunteer for missions. Tina received her Juris Doctor degree from Mercer University’s Walter F. George School of Law. Tina practices with the law firm of Langdale Vallotton, LLP. Tina’s practice there includes representing creditors in bankruptcy, representing educators in disciplinary actions brought by the Professional Standards Commission and in employment actions brought by local school boards, representing employees and employers in worker’s compensation cases, general civil litigation, and probate law. JEKYLL ISLAND – A South Georgia judge and attorney will have a say in policies for the state’s lawyers. Robert A. Plumb Jr. of Langdale Vallotton LLP in Valdosta was recently elected to serve on the Board of Governors of the 49,000-member State Bar of Georgia, according to an organizational press release. Read the rest of the story at The Valdosta Daily Times.